A recent study was conducted by Green Generation Solutions (GGS) to analyze the effectiveness of window films used in high-rise hotels, according to High Rise Facilities Magazine. 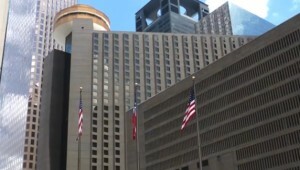 The test was performed on the Hyatt Regency in Houston, TX to measure the energy saved through window film installation alone. An extensive sub-metering system was used to measure precise temperature readings and HVAC usage in guestrooms. The studies have proven that window films are directly related to saving energy in the hotel. Built in 1972, the 30-story Hyatt Regency Houston suspended all new green initiatives for six-months to test the savings of just one investment: window films. The hotel used a third-party energy management consultant to measure the savings, as the staff knew that windows were usually the worst element of the building protecting against solar heat gain and thermal conduction. The hotel’s single pane, bronze-tinted windows were the main source of heat transfer into the building; the temperature by the windows could reach as high as 125 degrees F. The hotel was looking at window film to not only decrease its annual $1.6 million energy bill, but also address guest complaints and achieve fast ROI. In order to accurately quantify the savings from window film, GGS used an extensive sub-metering system to obtain precise temperature readings and HVAC usage in 48 southeast- and southwest-facing rooms with window film installed. GGS then compared that information to the data collected from 48 southeast- and southwest-facing rooms without window film. Guestrooms in the hotel were measured from July through December. A reduction of 23% occurred in guestrooms with window film in cooling energy use and 25% in heating energy. The window film also diminished solar gain by 63% and improved insulating performance by 42%, resulting in energy savings as high as 30% during peak days when HVAC systems would be running more frequently. These energy savings offer a full payback of 3.6 years, or an ROI of 28% per year; using national average installation costs, and taking an energy-efficiency rebate from the local utility into account. Here at All Pro Window Tinting, we are dedicated to providing the best window film solutions for our customers—in residential, commercial, and automotive settings. If you think your business would benefit from window films, please visit our website for more information.